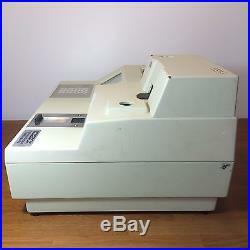 Idexx VetTest Vet Test 8008 Chemistry Analyzer + Snap Reader Series II VTG2. 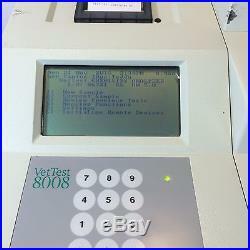 This listing is for 1 Idexx VetTest Vet Test 8008 Chemistry Analyzer + Snap Reader Series II VTG2. This item set was removed from a working veterinary practice along with other laboratory equipment. Check my other listings or message for availability. 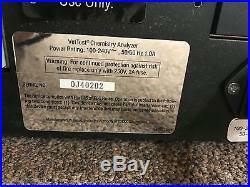 VetTest Chemistry Analyser. Trusted by 30,000 veterinarians worldwide. The IDEXX VetTest Chemistry Analyzer – A favorite for flexibility, accuracy and ease of use. Get the most accurate results available with IDEXX dry-slide technology. Up to 12 biochemical tests simultaneously, using a single sample of either serum. Get results in 8 minutes with plasma and provide clients with immediate answers during their visit. Customize your testing with a completely flexible test menu: 26 different parameters, 7 prepackaged panels and 39 species- and age-specific reference ranges. 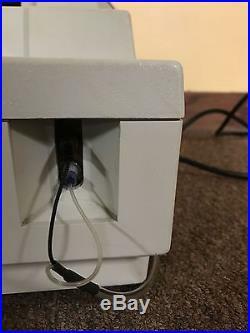 The VetTest analyser connects to the IDEXX VetLab Station, a laboratory information management system that collects all results into an electronic medical record and prints them on an integrated report for easy interpretation. This item set was pulled from a working environment and tested/inspected at our facility and found to be fully operationally. Item is in good overall condition. There are a few scuff marks and abrasions but they do not interfere with item’s functionality. Please see pictures for reference. WHAT’S INCLUDED: Photos are of actual item you will receive. 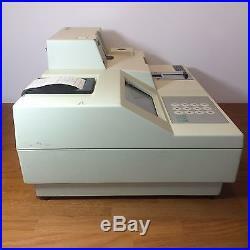 1x Idexx VetTest Vet Test 8008 Chemistry Analyzer. 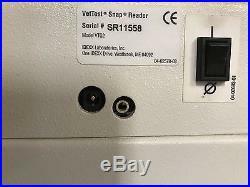 1x Idexx Snap Reader Series II VTG2. 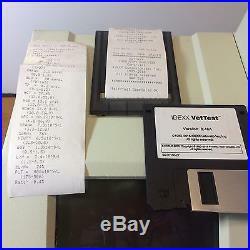 1x IDEXX VetTest Software Disk. 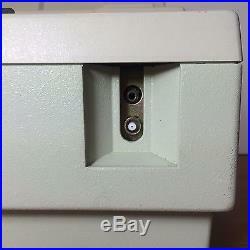 1x Standard Power Cord. ProCyte Dx Hematology Analyzer, Catalyst Dx Chemistry Analyzer, SNAPshot Dx Analyzer, LaserCyte Dx Hematology Analyzer, VetStat Electrolyte and Blood Gas Analyzer, IDEXX VetAutoread Hematology Analyzer, VetLyte Electrolyte Analyzer. 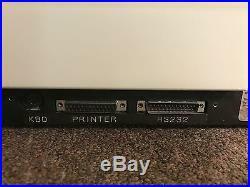 Any other parts, accessories, manuals, and/or media not pictured in this listing’s photos are not included. 1 MONTH NO DEAD ON ARRIVAL GUARANTEE!! Please read the description carefully to ensure that it is was what you want. Boxes is on a case by case basis. Thanks for your visit. We have near perfect feed back. 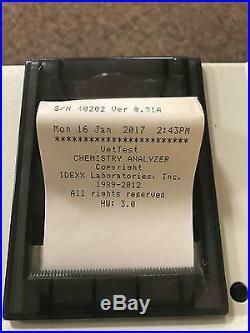 The item “Idexx VetTest Vet Test 8008 Chemistry Analyzer + Snap Reader Series II VTG2″ is in sale since Wednesday, February 01, 2017. This item is in the category “Business & Industrial\Healthcare, Lab & Life Science\Medical Specialties\Veterinary”. 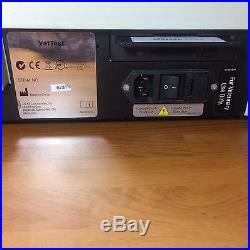 The seller is “ntech-outlet” and is located in Nashville, Tennessee. This item can be shipped to United States. Thank you for looking at our item! We are helping a client clear out equipment and supplies from a veterinarian clinic. 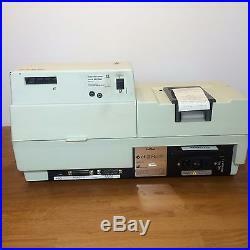 All supplies are in working order and are pre-owned unless otherwise stated. If you have any questions about the products we are listing please don’t hesitate to ask. 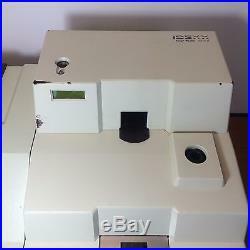 Idexx Vet Test 8008 Chemistry Analyzer, Snap Reader Series II, Model VTG2. This has been tested and in working order and will include everything shown in the pictures. The sale of this item may be subject to regulation by the U. Food & Drug Administration and state and local regulatory agencies. FOR: Nebraska Animal Medical Center. 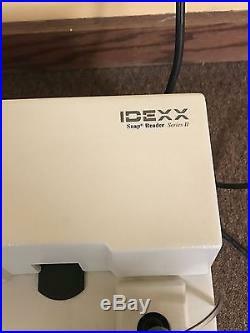 The item “IDEXX VET TEST 8008 chemistry analyzer snap reader series II veterinary VTG2″ is in sale since Thursday, February 16, 2017. This item is in the category “Business & Industrial\Healthcare, Lab & Life Science\Medical Specialties\Veterinary”. The seller is “thesportcoat” and is located in Lincoln, Nebraska. This item can be shipped to United States. 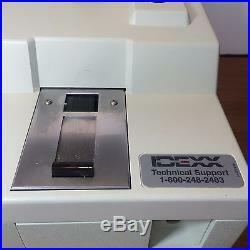 Idexx VetTest Vet Test 8008 Chemistry Analyzer + Snap Reader Series II VTG2. 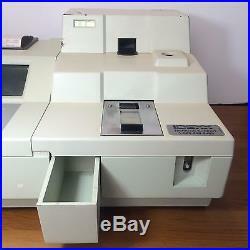 This listing is for 1 Idexx VetTest Vet Test 8008 Chemistry Analyzer + Snap Reader Series II VTG2. This item set was removed from a working veterinary practice along with other laboratory equipment. Check my other listings or message for availability. VetTest Chemistry Analyser. Trusted by 30,000 veterinarians worldwide. The IDEXX VetTest Chemistry Analyzer – A favorite for flexibility, accuracy and ease of use. Get the most accurate results available with IDEXX dry-slide technology. Up to 12 biochemical tests simultaneously, using a single sample of either serum. Get results in 8 minutes with plasma and provide clients with immediate answers during their visit. Customize your testing with a completely flexible test menu: 26 different parameters, 7 prepackaged panels and 39 species- and age-specific reference ranges. 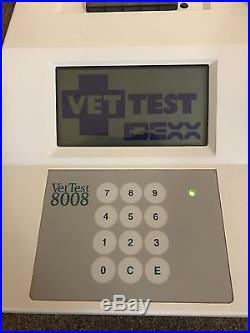 The VetTest analyser connects to the IDEXX VetLab Station, a laboratory information management system that collects all results into an electronic medical record and prints them on an integrated report for easy interpretation. This item set was pulled from a working environment and tested/inspected at our facility and found to be fully operationally. Item is in good overall condition. There are a few scuff marks and abrasions but they do not interfere with item’s functionality. Please see pictures for reference. WHAT’S INCLUDED: Photos are of actual item you will receive. 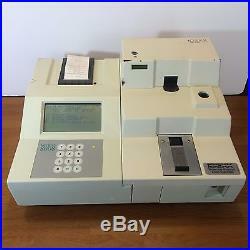 1x Idexx VetTest Vet Test 8008 Chemistry Analyzer. 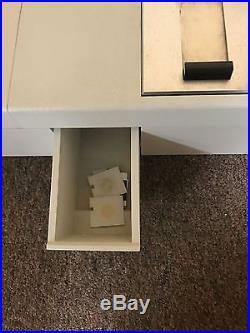 1x Idexx Snap Reader Series II VTG2. 1x IDEXX VetTest Software Disk. 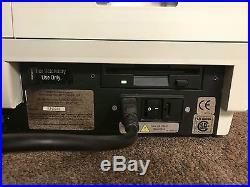 1x Standard Power Cord. ProCyte Dx Hematology Analyzer, Catalyst Dx Chemistry Analyzer, SNAPshot Dx Analyzer, LaserCyte Dx Hematology Analyzer, VetStat Electrolyte and Blood Gas Analyzer, IDEXX VetAutoread Hematology Analyzer, VetLyte Electrolyte Analyzer. 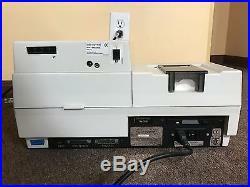 Any other parts, accessories, manuals, and/or media not pictured in this listing’s photos are not included. 1 MONTH NO DEAD ON ARRIVAL GUARANTEE!! Please read the description carefully to ensure that it is was what you want. Boxes is on a case by case basis. Thanks for your visit. We have near perfect feed back. 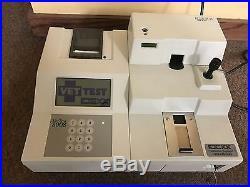 The item “Idexx VetTest Vet Test 8008 Chemistry Analyzer + Snap Reader Series II VTG2″ is in sale since Monday, November 21, 2016. This item is in the category “Business & Industrial\Healthcare, Lab & Life Science\Medical Specialties\Veterinary”. 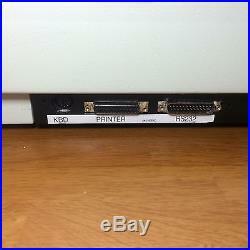 The seller is “ntech-outlet” and is located in Nashville, Tennessee. This item can be shipped to United States.